These Terms and Conditions of Use (“Terms”) apply to use of the Nutrition Genome services. The use of the Nutrition Genome services (the “Services”) includes but is not limited to (i) use of the Nutrition Genome website (the “Site”) located at nutritiongenome.com; (ii) submission of a saliva sample to Nutrition Genome for DNA extraction and processing; (iii) uploading a digital version of your genetic information for analysis on the Site; and (iv) the creation of a Nutrition Genome account on the Site. Nutrition Genome owns, maintains, and funds the Site. Nutrition Genome reserves the right, at its sole discretion, to change or modify these Terms at any time. It is your responsibility to review these Terms whenever you use the Services for any changes or modifications. Continued use of the Services after any changes or modifications, means you agree to such changes or modifications. THESE TERMS ARE GOVERNED BY AN ARBITRATION AGREEMENT (SEE SECTION 16). BY USING THE SERVICES, YOU AGREE THAT DISPUTES BETWEEN YOU AND US WILL BE RESOLVED BY BINDING, INDIVIDUAL ARBITRATION AND YOU WAIVE YOUR RIGHT TO PARTICIPATE IN A CLASS ACTION LAWSUIT OR CLASS-WIDE ARBITRATION. 1. Who May Use Our Services. Except as otherwise set forth herein, you may only use our Services if you can form a legally binding contract. You must be at least eighteen (18) years of age or older to agree to these Terms on behalf of yourself or on behalf of someone for whom you have legal authority to agree. You must use the Services in compliance with these Terms and all applicable laws. You may not use the Services if use of the Services is prohibited under the laws of the jurisdiction in which you are a resident or from which you access the Services. If you submit information to us, you must provide us with accurate and complete information, and you agree to update your information to keep it accurate and complete. Submission of information to us by anyone under the age of eighteen (18) is strictly prohibited. 2. Services Provided for Informational, Educational, and Entertainment Purposes Only. All information, including any product information or selected information concerning diseases and their treatment that may be contained and referenced in the Services, including any such information that may be contained in any email or other form of communication received by you in response to an opt-in registration from this Site, is general in nature and for informational, educational, and entertainment purposes only. The Services are NOT intended to provide medical advice, to be relied on for medical diagnosis, treatment, or other clinical decision-making, to assess your probability of developing a disease, or to provide you with a genetic risk profile. Accordingly, you agree that you will not rely on any statements made on this Site or otherwise in information provided as part of the Services as though it were professional advice. Always seek the advice of a physician or other qualified health care professional regarding any medical questions you may have. Do not ignore medical advice or delay obtaining medical advice based upon information contained and referenced in this Site or otherwise provided as part of the Services. You understand and agree that Nutrition Genome does not use this Site to provide medical advice, financial advice, or legal advice, and you should not assume that information submitted to us is subject to health, financial, or legal privacy laws or regulations. 3. Ownership and Use of Submitted Samples and Information. All samples submitted to us become the property of Nutrition Genome and cannot be returned. As a result, you assign all right and title to your submitted sample to us. Nutrition Genome reserves the right to store all information you provide to us or that we derive from testing of your sample for various purposes including strengthening correlations between single nucleotide polymorphisms (SNP’s) and health conditions. Individuals provided with access to your information for such internal research purposes will not be provided with access to your name or other contact information. If a commercial product or service is developed from use of the samples and/or information you submit to us, rights to the commercial product or service will belong only to Nutrition Genome and its collaborators (persons or companies partnering with Nutrition Genome on the research or product/service). You will not receive any financial benefits or compensation from or have any rights in any developments, inventions, or other discoveries that might come out of this research. 4. Acceptable Use of Services. You are responsible for the accuracy of any information that you provide to Nutrition Genome. By submitting information/samples, you represent and warrant that you have obtained all necessary licenses, waivers, authorizations, and permissions to transfer such informational content/samples to us. You are responsible for protecting the confidentiality of your access credentials to your account on the Site. · Do anything that violates local, state, national or international law or breaches any of your contractual obligations or fiduciary duties. · Reproduce, transfer, sell, resell, or otherwise misuse any content from our Services, unless specifically authorized to do so. · Access, tamper with, or use non-public areas of our systems, or the technical delivery systems of our providers, unless specifically authorized to do so. · Break or circumvent our authentication or security measures or otherwise test the vulnerability of our systems or networks, unless specifically authorized to do so. · Impersonate or misrepresent your affiliation with any person or entity. · Encourage or help anyone to do any of the things prohibited under this Acceptable Use of Services section. · Use the Services in a way that would interfere with any other party’s use and enjoyment of the Services. · Obtain or attempt to obtain any materials or information through any means not intentionally made available or provided for through the Services. · Decompile, disassemble or reverse engineer the Site or any portion thereof. · Use any automatic device, program, algorithm or methodology, or engage in harvesting of e-mail addresses or other personal information, unsolicited e-mailing, telephone calls or mailings, spoofing, flooding, overloading, spidering, screen scraping, database scraping, or any similar or equivalent manual process to access, acquire, copy or monitor any portion of the Site or any content on the Site. · Reverse look-up, trace or seek to trace any information on any other user of the Services to its source. You may not copy, reproduce, distribute, transmit, display, perform, publish, license, modify, translate, adapt, create derivative works from, transfer, sell or otherwise exploit the Services or any content, information, software, products or services obtained from the Services, for any commercial purpose or enterprise, without our prior written permission. Notwithstanding the preceding paragraph, you may display the pages of the Site and, subject to any expressly stated restrictions or limitations relating to specific material on the Site, electronically copy, download onto your personal computer, mobile device or other technology used to access the Site, and print single hard copy portions of the pages from the Site solely for your own personal, noncommercial, lawful use. If you make other use of the intellectual property on the Site, except as otherwise provided above, you may violate copyright and other laws of the United States, other countries, as well as applicable state laws and may be subject to liability for such unauthorized use, including as set forth in § 21 below. 5. Modifying and Discontinuing the Services. We are constantly changing and improving our Services. For example, we may add new genes to the list of what we test for and post new research on the Site. We may add or remove functions, features, or requirements, and we may suspend or stop all or part of the Services altogether. We reserve the right, at any time, to modify, suspend or discontinue our Services and/or any content provided on the Site without notice to you, or to revoke your ability to access the Services without notice to you for any reason or for our convenience. Accordingly, Nutrition Genome may terminate your use of all or part of the Services for any reason. In the event we discontinue our Services, you may be entitled to a whole or partial refund of any amounts paid. Except with respect to express, ongoing obligations to individuals who have paid for specified services, none of Nutrition Genome, its subsidiaries and affiliates, or any of their respective officers, directors, members, partners, shareholders, employees, agents, licensors, or service providers, and other business partners, and their employees, contractors, and other agents shall have any liability to you for any such action. You can stop using our Services at any time. 6. Information You Submit on Publicly Accessible Portions of the Site. We may now or in the future include the capability for you to post information on certain publicly-accessible parts of the Site. Should you choose to post information in such parts of the Site, you: (i) grant us a license to use, reproduce, modify, transmit, or publicly display the content subject to the terms (if any) displayed on the section of the Site at which the content was submitted or otherwise provided to you in connection with the submission of such content; and (ii) grant us a license to use the personal or business name submitted in connection with that content. Except as expressly set forth elsewhere, the content you provide to Nutrition Genome in such publicly accessible portions of the Site is provided by you at no cost and is not confidential. Nutrition Genome is free to reproduce, use, disclose, and transfer the information to others for any reason without your permission or payment to you. Nutrition Genome may use any ideas, concepts, know-how or other techniques contained in the information provided by you in such publicly accessible portions of the Site for any purpose. By providing us with such content, you give us a worldwide, perpetual, irrevocable, fully-paid and royalty-free license to use and exploit in any manner any and all such content. Nutrition Genome does not waive any rights it may have to similar or related ideas previously known to it or developed by its employees and representatives, or obtained from sources other than you. · Contains illegal content or promotes illegal activities with the intent to commit such activities. · Contains credible threats or organizes acts of real-world violence. · Contains anything that is obscene, defamatory, harassing, offensive or malicious. · Stalks, harasses or harms another individual. · Promotes discrimination, bigotry, racism, hatred, harassment or harm against any individual or group. · Violates intellectual property, privacy, or other rights of third parties. · Spams others. Do not share irrelevant or inappropriate advertising, promotional, or solicitation content. 7. Links to Third Party Websites. This Site may contain links to third party websites. Nutrition Genome does not control, is not responsible for, and expressly disclaims any and all liability for any damages of any kind arising in connection with the content, practices or standards of these third party websites. Inclusion of any third party link does not imply recommendation or endorsement by Nutrition Genome. The use of third party websites is at your own risk and subject to the terms and conditions of use for such third party websites. 8. Electronic Communications. The communications between you and us use electronic means, whether through the Site or via email. For contractual purposes, you (a) consent to receive communications from us in an electronic form; and (b) agree that all terms and conditions, agreements, notices, disclosures, and other communications that we provide to you electronically satisfy any legal requirement that such communications would satisfy if they were in writing. 10. Intellectual Property. All text, graphics, interfaces, code, materials, and artwork appearing in the Services, including the look and feel, selection and arrangement, design and organization of the Site, and the compilation of the content, code, data and materials on the Site, are the proprietary copyrighted work of Nutrition Genome (or are used by Nutrition Genome with appropriate permissions of any third party proprietors thereof) and are protected by United States federal and international copyright laws. Any reproduction, retransmission or other use is strictly prohibited as described below. Except as otherwise expressly stated, nothing contained herein shall be construed by implication, estoppel or otherwise to convey or grant any license or right under any copyright, patent, or trademark of Nutrition Genome or any third party. The Site is copyrighted as a collective work under the United States’ and other copyright laws, and is the property of Nutrition Genome. The collective work includes works that are licensed to Nutrition Genome. Unless otherwise indicated in the Services, displayed trademarks, corporate logos, services marks, trade names and emblems (collectively, the “Marks”) are subject to the trademark rights of, and are proprietary to, Nutrition Genome, its subsidiaries and affiliates and their respective licensors. These Terms do not grant any license or other authorization to use the Marks. · an electronic or physical signature of the copyright owner or someone authorized on the owner’s behalf to assert infringement of copyright and to submit the statement. 11. Requests to Reproduce Information. Request for permission to reproduce any information contained in the Services should be addressed to support@nutritiongenome.com. If you believe that material in the Services infringes your trademark, trade name, or patent, please contact: Nutrition Genome, LLC 301 East 17th Street #207, Costa Mesa, CA 92627. 12. Third-Party Product and Service Listings. Nutrition Genome may list health care professionals and other third party product and service offerings on our Site as a general resource for our customers. Any images or descriptions of goods and services provided by third-parties are purely informational. Nutrition Genome makes no representations whatsoever about the qualifications of listed health care professionals, or about the completeness, accuracy, reliability, validity, or timeliness of such listings, images, or descriptions (including any prices, features, details, or other listing information). Such listings, images, and descriptions, as well as the availability of the goods or services to which they pertain, are subject to change at any time without notice. NUTRITION GENOME DOES NOT WARRANT, ENDORSE, GUARANTEE, OR ASSUME RESPONSIBILITY FOR ANY PRODUCT OR SERVICE ADVERTISED OR OFFERED BY A HEALTH CARE PROFESSIONAL LISTED ON OUR SITE OR OFFERED BY A THIRD PARTY THROUGH THE SITE OR ANY HYPERLINKED SITE OR SERVICE, AND NUTRITION GENOME WILL NOT BE A PARTY TO OR IN ANY WAY MONITOR ANY TRANSACTION BETWEEN YOU AND THIRD-PARTY PROVIDERS OF PRODUCTS OR SERVICES. 13. Online Sales. You represent and warrant that you have the right to use any credit card or other means of payment that you provide to us, and that all billing information you provide to us is truthful and accurate. Providing any untruthful or inaccurate information is a breach of these Terms and may result in cancellation of your order. Prior to accepting an order we may also request additional information from you. Verification of information may be required prior to the acknowledgment or completion of any purchase. We reserve the right to refuse or cancel an order for any reason including limitations on quantities available for purchase, inaccuracies, or errors in product or pricing information, or problems identified related to credit and fraud avoidance. We may request a pre-authorization for some orders placed online with a credit or debit card. This pre-authorization will not be billed to you; however, your card issuer may hold this amount for a temporary period. Your card issuer determines the length of time the pre-authorization is held. By confirming your purchase at the end of the checkout process, you agree to accept and pay for the purchase, as well as all shipping and handling charges and applicable taxes. Nutrition Genome reserves the right, including without prior notice, to limit the quantity of items purchased per person, per household, or per order for any reason. Nutrition Genome also reserves the right, at our sole discretion, to prohibit sales to dealers or resellers. For purposes of these Terms, “reselling” will be defined as purchasing or intending to purchase any good(s) from Nutrition Genome for the purpose of engaging in a commercial sale of the same good(s) to a third party. Products will be shipped to an address designated by you, if applicable, so long as such address is complete and complies with the shipping restrictions contained on the Site. All transactions are made pursuant to a shipping contract, and, as a result, risk of loss and title for goods pass to you upon delivery of the goods to the carrier. 14. Refunds. ALL SALES ARE FINAL. AT NUTRITION GENOME’S SOLE DISCRETION, REFUNDS MAY BE ISSUED WHERE YOU ARE NOT SATISFIED WITH THE SERVICES. PLEASE CONTACT US WITH ANY COMPLAINTS OR REFUND REQUESTS. · If you have run the Nutrition Genome Report with the 23andMe DNA data file, we do not offer refunds because the report has already been created and sent. · If you have purchased the Nutrition Genome DNA Collection Kit and Genetic Report, you can get a refund if your sample has not been sent to the lab. · Once the lab has received your sample, we do not offer refunds on the Nutrition Genome DNA Collection Kit and Genetic Report. · If we are unable to extract DNA from your sample due to contamination or insufficient content as a result of your not following our collection instructions, we do not offer refunds on the Nutrition Genome DNA Collection Kit and Genetic Report or cover the cost of retesting. · We do not offer refunds on any orders placed over 30 days prior. 15. NO WARRANTIES ON SERVICES. THE SERVICES, INCLUDING THIS SITE AND THE INFORMATION CONTAINED IN THE SERVICES, ARE PROVIDED “AS IS.” ERRORS IN OUR GENOTYPING HARDWARE AND SOFTWARE ARE POSSIBLE. IT IS YOUR RESPONSIBILITY TO EVALUATE THE ACCURACY AND COMPLETENESS OF ALL INFORMATION AVAILABLE ON THIS SITE OR ANY WEBSITE WITH WHICH IT IS LINKED. NUTRITION GENOME, TO THE FULLEST EXTENT PERMITTED BY LAW, MAKES NO REPRESENTATIONS AND DISCLAIMS ALL WARRANTIES, EITHER EXPRESSED OR IMPLIED, STATUTORY OR OTHERWISE, INCLUDING BUT NOT LIMITED TO THE IMPLIED WARRANTIES OF MERCHANTABILITY, NON-INFRINGEMENT OF THIRD PARTIES’ RIGHTS, AND FITNESS FOR PARTICULAR PURPOSE. SPECIFICALLY, WHILE WE STRIVE TO PROVIDE INFORMATION THAT IS AS ACCURATE AND CURRENT AS POSSIBLE, NUTRITION GENOME MAKES NO REPRESENTATIONS OR WARRANTIES ABOUT THE AVAILABILITY, PERFORMANCE, QUALITY, RESULTS, ACCURACY OR TIMELINESS OF THE SERVICES, INCLUDING THE TEST RESULTS AND ASSOCIATED INFORMATION. NUTRITION GENOME ALSO MAKES NO REPRESENTATIONS OR WARRANTIES ABOUT THE AVAILABILITY, PERFORMANCE, QUALITY, RESULTS, ACCURACY OR TIMELINESS OF THIS SITE, ITS CONTENT, SOFTWARE, TEXT, GRAPHICS, TOOLS, LINKS, OR OTHER COMMUNICATIONS PROVIDED ON OR THROUGH THE USE OF THIS SITE OR ANY SITE OR SITES “LINKED” TO THIS SITE. NUTRITION GENOME DOES NOT REPRESENT OR WARRANT THAT THE FUNCTIONS CONTAINED IN THE SITE WILL BE UNINTERRUPTED OR ERROR-FREE, OR THAT DEFECTS WILL BE CORRECTED. WHILE WE STRIVE TO PROTECT OUR SITE AND SERVERS FROM VIRUSES AND OTHER MALWARE, NUTRITION GENOME MAKES NO REPRESENTATIONS OR WARRNTIES THAT THE SITE OR THE SERVER THAT MAKES THE SITE AVAILABLE ARE FREE OF VIRUSES OR OTHER HARMFUL COMPONENTS. ANY CONTENT DOWNLOADED OR OTHERWISE OBTAINED THROUGH THE USE OF THE SERVICE IS DOWNLOADED AT YOUR OWN RISK AND YOU WILL BE SOLELY RESPONSIBLE FOR ANY DAMAGE TO YOUR COMPUTER SYSTEM OR MOBILE DEVICE OR LOSS OF DATA THAT RESULTS FROM SUCH DOWNLOAD OR YOUR USE OF THE SERVICE. NO INFORMATION, WHETHER ORAL OR WRITTEN, OBTAINED THROUGH THE SERVICES WILL CREATE ANY WARRANTY NOT EXPRESSLY STATED HEREIN. In jurisdictions that do not recognize exclusion of implied warranties, the above exclusions may not apply. WHETHER BASED ON WARRANTY, CONTRACT, TORT, OR ANY OTHER LEGAL THEORY, AND WHETHER OR NOT NUTRITION GENOME IS ADVISED OF SUCH DAMAGES. IF YOU ARE NOT SATISFIED WITH THE SERVICES OR THESE TERMS, YOUR SOLE AND EXCLUSIVE REMEDY IS TO DISCONTINUE USE OF THE SERVICES AND TO REQUEST A REFUND OF AMOUNTS PAID. FOR PURPOSES OF THIS LIMITATION OF LIABILITY PROVISION, “NUTRITION GENOME” INCLUDES NOT ONLY NUTRITION GENOME, INC. BUT ALSO ITS PARENTS, SUBSIDIARIES, AFFILIATES, LICENSORS, PREDECESSORS, SUCCESSORS AND ASSIGNS, AND EACH OF THEIR RESPECTIVE OFFICERS, DIRECTORS, EMPLOYEES AND AGENTS. 17. INDEMNIFICATION. You agree to indemnify, defend and hold harmless Nutrition Genome, its officers, directors, employees, subcontractors and agents from and against all losses, expenses, claims, damages and costs, including reasonable attorneys’ fees, resulting from your transmission of any message, content, information or other materials on or through the Site, your breach or violation of the law, your violation of any third party right, your violation of these Terms, or any activity otherwise related to your use of the Services (including negligent or wrongful conduct). In the interest of resolving disputes between you and Nutrition Genome in the most expedient and cost effective manner, you and Nutrition Genome agree that any and all disputes arising in connection with this Agreement shall be resolved by binding arbitration. Arbitration is more informal than a lawsuit in court. Arbitration uses a neutral arbitrator instead of a judge or jury, may allow for more limited discovery than in court, and can be subject to very limited review by courts. Arbitrators can award the same damages and relief that a court can award. Our agreement to arbitrate disputes includes, but is not limited to, all claims arising out of or relating to any aspect of these Terms, whether based in contract, tort, statute, fraud, misrepresentation, or any other legal theory, and regardless of whether the claims arise during or after the termination of these Terms. You understand and agree that, by entering into these Terms, you and Nutrition Genome are each waiving the right to a trial by jury or to participate in a class action. Notwithstanding subsection (A), we both agree that nothing herein shall be deemed to waive, preclude, or otherwise limit either of our right to (i) bring an individual action in small claims court, (ii) pursue enforcement actions through applicable federal, state, or local agencies where such actions are available, (iii) seek injunctive relief in a court of law, or (iv) file suit in a court of law to address intellectual property infringement claims. Any arbitration between you and Nutrition Genome will be governed by the Commercial Dispute Resolution Procedures and the Supplementary Procedures for Consumer Related Disputes (collectively, “AAA Rules”) of the American Arbitration Association (“AAA”), as modified by these Terms, and will be administered by the AAA. The AAA Rules and filing forms are available online at www.adr.org, by calling the AAA at 1-800-778-7879, or by contacting Nutrition Genome. A party who intends to seek arbitration must first send a written notice of the dispute to the other, by certified mail or Federal Express (signature required), or in the event that we do not have a physical address on file for you, by electronic mail (“Notice”). Nutrition Genome’s address for Notice is: Nutrition Genome, LLC 301 East 17th Street #207, Costa Mesa, CA 92627. The Notice must (a) describe the nature and basis of the claim or dispute; and (b) set forth the specific relief sought (“Demand”). We agree to use good faith efforts to resolve the claim directly, but if we do not reach an agreement to do so within 30 days after the Notice is received, you or Nutrition Genome may commence an arbitration proceeding. During the arbitration, the amount of any settlement offer made by you or Nutrition Genome shall not be disclosed to the arbitrator until after the arbitrator makes a final decision and award, if any; provided that if our dispute is finally resolved through arbitration in your favor, Nutrition Genome shall pay you the greater of (i) the amount awarded by the arbitrator, if any, and (ii) the greatest amount offered by Nutrition Genome in settlement of the dispute prior to the arbitrator’s award. In the event that you commence arbitration in accordance with these Terms, Nutrition Genome will reimburse you for your payment of the filing fee, unless your claim is for greater than $10,000, in which case the payment of any fees shall be decided by the AAA Rules. If the arbitrator finds that either the substance of your claim or the relief sought in the Demand is frivolous or brought for an improper purpose (as measured by the standards set forth in Federal Rule of Civil Procedure 11(b)), then the payment of all fees will be governed by the AAA Rules. In such case, you agree to reimburse Nutrition Genome for all monies previously disbursed by it that are otherwise your obligation to pay under the AAA Rules. Any arbitration hearings will take place at a location to be agreed upon in Orange County, California, provided that if the claim is for $10,000 or less, you may choose whether the arbitration will be conducted solely on the basis of documents submitted to the arbitrator, through a non-appearance based telephonic hearing, or by an in-person hearing as established by the AAA Rules. Regardless of the manner in which the arbitration is conducted, the arbitrator shall issue a reasoned written decision sufficient to explain the essential findings and conclusions on which the decision and award, if any, are based. The arbitrator may make rulings and resolve disputes as to the payment and reimbursement of fees or expenses at any time during the proceeding and upon request from either party made within 14 days of the arbitrator’s ruling on the merits. YOU AND NUTRITION GENOME AGREE THAT EACH MAY BRING CLAIMS AGAINST THE OTHER ONLY IN YOUR OR ITS INDIVIDUAL CAPACITY, AND NOT AS A PLAINTIFF OR CLASS MEMBER IN ANY PURPORTED CLASS OR REPRESENTATIVE PROCEEDING. Further, unless both you and Nutrition Genome agree otherwise, the arbitrator may not consolidate more than one person’s claims and may not otherwise preside over any form of a representative or class proceeding. In the event that Nutrition Genome makes any future change to this arbitration provision (other than a change to Nutrition Genome’s address for Notice), you may reject any such change by sending us written notice within 30 days of the change to Nutrition Genome’s address for Notice, in which case your account with Nutrition Genome (as applicable) shall be immediately terminated and this arbitration provision, as in effect immediately prior to the amendments you reject, shall survive. If Subsection F of this Section 16 is found to be invalid, then the entirety of this Section shall be null and void and, in such case, the parties agree that the exclusive jurisdiction and venue described elsewhere in these Terms shall govern any action arising out of or related to these Terms. 20. Enforceability. Except as described in Subsection H of Section 16, in the event that any portion of these Terms is held to be unenforceable, the unenforceable portion shall be construed in accordance with applicable law as nearly as possible to reflect the original intention, and the remainder of the provisions shall remain in full force and effect. 21. 1-year Limitation on Claims. By using the Services, you agree that to the extent permitted by law, any cause of action or claim you may have with respect to the Services or these Terms must be commenced within one (1) year after the claim or cause of action arises or be forever barred. 22. Miscellaneous. A failure or delay by Nutrition Genome to insist upon, exercise or enforce strict performance of any right or provision of these Terms shall not constitute a waiver of such right or provision. These Terms and any policies or operating rules posted by us on this Site constitute the entire agreement and understanding between you and Nutrition Genome and govern your use of the Services, superseding any prior or contemporaneous agreements, communications, and proposals, whether oral or written, between you and Nutrition Genome (including, but not limited to, any prior versions of the Terms). The headings used in these Terms are included for convenience only and will not limit or otherwise affect these Terms. Neither the course of conduct between the parties nor trade practice shall act to modify any of these Terms. Nutrition Genome may assign its rights and duties under these Terms to any party at any time without notice to you. 23. Revisions to Terms. Each time you use the Services, you should visit and review these Terms. Nutrition Genome reserves the right to revise, modify or amend these Terms at any time. Any such changes to the Terms will be posted on this page, and we will update the “Updated and Effective” date above to reflect the date of the changes. Your continued use of the Services after publication of any change in the Terms indicates your consent to be bound by such revision, modification, or amendment. Updated and Effective: September 23rd, 2018. These Supplemental Terms and Conditions of Use (“Supplemental Terms”) apply to the Practitioner Referral Program services (“Referral Program Services”) and supplement the general Terms and Conditions of Use that apply to the Nutrition Genome services TERMS & CONDITIONS. YOUR PURCHASE OF THE REFERRAL PROGRAM SERVICES REFLECTS YOUR ACCEPTANCE OF THESE TERMS IN ADDITION TO THE GENERAL TERMS AND CONDITIONS OF USE. 1. Eligibility. To be eligible for the Practitioner Referral Program, you must have one or more of the following credentials: Doctor of Medicine (MD), Doctor of Naturopathic Medicine (ND), Doctor of Chiropractic (DC), Licensed Acupuncturist (L.Ac), Registered Dietician Nutritionist (RDN), Registered Nurse (RN), IFM or a master’s degree or higher in nutrition or other science-related fields. 2. Not a Certification Program. You understand the Practitioner Referral Program is not a formal certification program. You should not rely on the Practitioner Training Materials provided as part of the Referral Program as your sole training in epigenetics and nutrigenomics. 3. NO WARRANTIES. THE PRACTITIONER TRAINING MATERIALS PROVIDED AS PART OF THE REFERAL PROGRAM SERVICES ARE PROVIDED “AS IS.” NUTRITION GENOME, TO THE FULLEST EXTENT PERMITTED BY LAW, MAKES NO REPRESENTATIONS AND DISCLAIMS ALL WARRANTIES, EITHER EXPRESSED OR IMPLIED, STATUTORY OR OTHERWISE, INCLUDING BUT NOT LIMITED TO THE IMPLIED WARRANTIES OF MERCHANTABILITY, NON-INFRINGEMENT OF THIRD PARTIES’ RIGHTS, AND FITNESS FOR PARTICULAR PURPOSE. 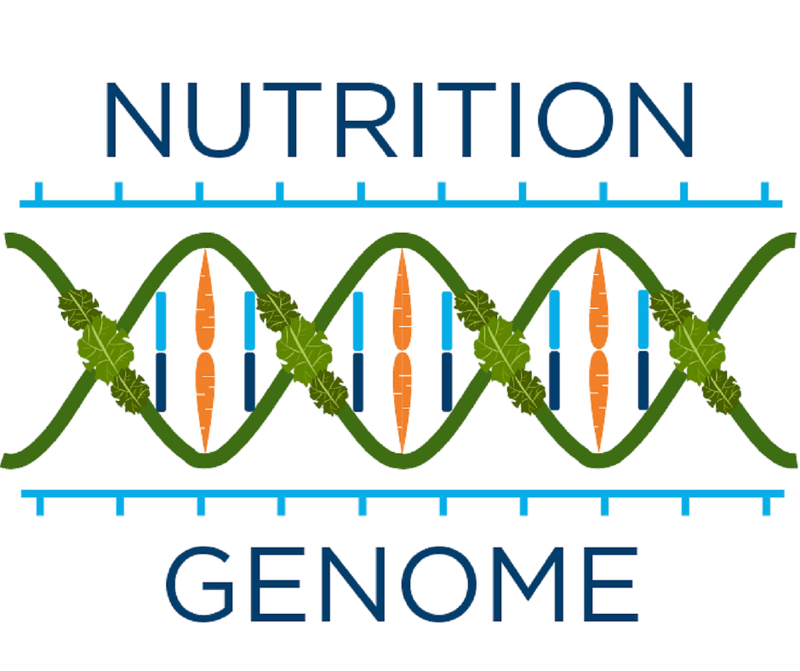 NUTRITION GENOME MAKES NO REPRESENTATIONS OR WARRANTIES ABOUT THE QUALITY, ACCURACY OR TIMELINESS OF THE TRAINING MATERIALS. NUTRITION GENOME’S SOLE RESPONSIBILITY WITH REGARD TO THE PRACTITIONER REFERRAL PROGRAM IS ENSURING THAT YOUR INFORMATION IS LISTED ON OUR WEBSITE FOR POTENTIAL CONSIDERATION BY OUR CUSTOMERS. NUTRITION GENOME CANNOT AND DOES NOT GUARANTEE ANY LEVEL OF POTENTIAL EXPOSURE METRICS OR FINANCIAL BENEFIT TO PARTICIPATING PRACTITIONERS. NUTRITION GENOME RESERVES THE RIGHT TO REMOVE A PRACTITOINER PROFILE FROM THE SITE FOR ANY REASON, AND NUTRITION GENOME MAKES NO WARRANTY AS TO THE AMOUNT OF TIME THAT THE PRACTITONER REFERRAL PROGRAM WILL REMAIN LIVE ON THE SITE. NUTRITION GENOME RESERVES THE RIGHT TO CANCEL THE ENTIRE PRACTITIONER REFERRAL PROGRAM AND REMOVE ALL PROFILES AT ANY TIME AND FOR ANY REASON. 4. LIMITATION OF LIABILITY. TO THE FULLEST EXTENT PERMITTED BY APPLICABLE LAW, NONE OF NUTRITION GENOME, ITS SUBSIDIARIES AND AFFILIATES, OR ANY OF THEIR RESPECTIVE OFFICERS, DIRECTORS, MEMBERS, PARTNERS, SHAREHOLDERS, EMPLOYEES, AGENTS, LICENSORS OR SERVICE PROVIDERS (COLLECTIVELY, THE “PROTECTED ENTITIES”) SHALL BE LIABLE FOR ANY PERSONAL INJURY CAUSED BY YOUR RELIANCE ON THE PRACTITIONER TRAINING MATERIALS. 5. INDEMNIFICATION. YOU AGREE TO INDEMNIFY, DEFEND AND HOLD HARMLESS NUTRITION GENOME, ITS OFFICERS, DIRECTORS, EMPLOYEES, SUBCONTRACTORS AND AGENTS FROM AND AGAINST ALL LOSSES, EXPENSES, CLAIMS, DAMAGES AND COSTS, INCLUDING REASONABLE ATTORNEYS’ FEES, RELATED TO YOUR USE OF THE SERVICES (INCLUDING NEGLIGENT OR WRONGFUL CONDUCT). 6. REFUNDS: ALL SALES ARE FINAL. NUTRITION GENOME WILL NOT ISSUE A REFUND FOR A LACK OF REFERRED CUSTOMERS, AND NUTRITION GENOME WILL NOT ISSUE A REFUND IF IT DECIDES TO REMOVE THE PRACTITOINER REFERRAL PROGRAM AT ANY TIME IN THE FUTURE. NUTRITION GENOME WILL ONLY REFUND IF THE FOLLOWING TWO CONDITIONS ARE MET 1) IF YOU WRITE TO US WITHIN 7 DAYS OF PURCHASE REQUESTING A REFUND AND 2) YOU HAVE NOT SUCCESSFULLY COMPLETED THE TEST AND / OR SUBMITTED YOUR INFORMATION TO US TO HOST ON OUR WEBSITE.